Microsoft has announce that they are launching a new free Skype Meetings for business. 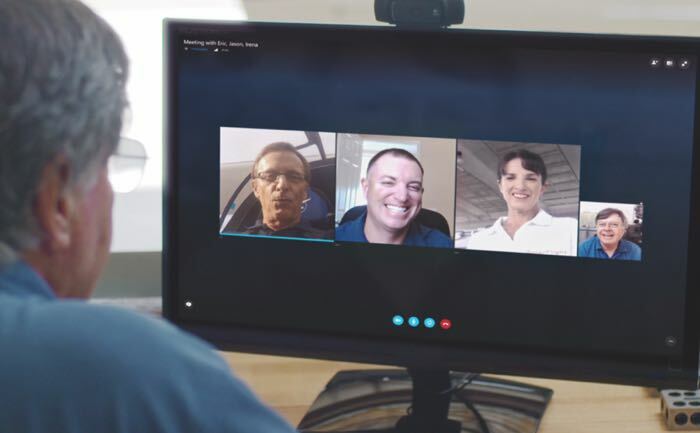 Skype Meetings is designed as a new meeting tool for small business. The video below gives us a look at some of the features in Skype Meetings and how it can be used by businesses. With Skype Meetings, you can quickly set up meetings and share a personalized URL that participants click to join the meeting. During the meeting, participants can IM, share their screen or PowerPoint presentation or use the laser pointer and whiteboard features to make it more engaging and productive. The meeting organizer also gets professional meeting controls such as the ability to mute the audience in order to be heard. You can find out more information about the new Skype Meetings for business over at Microsoft at the link below.